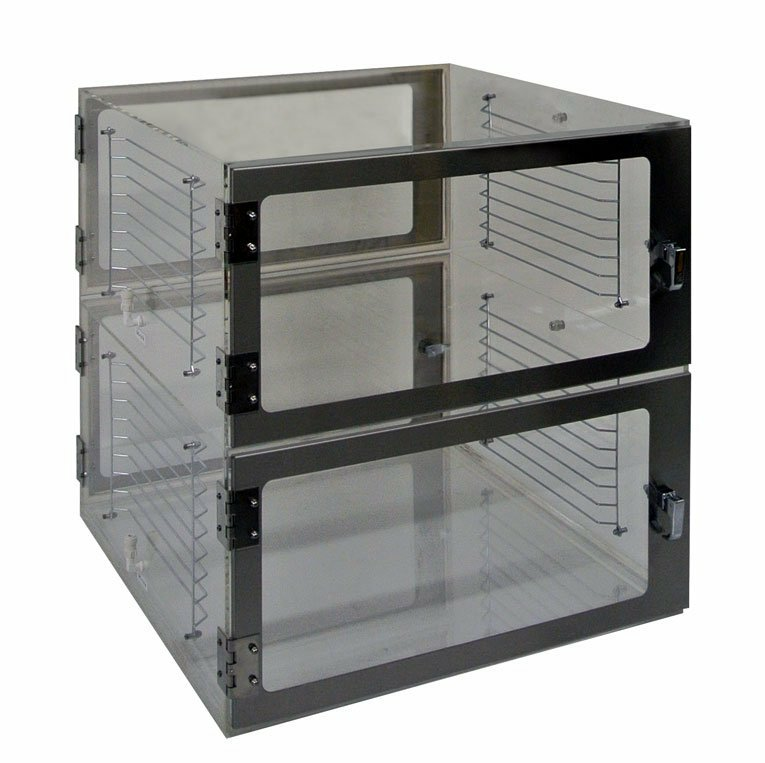 Desiccator Cabinet with Two-side access, works as pass-through. 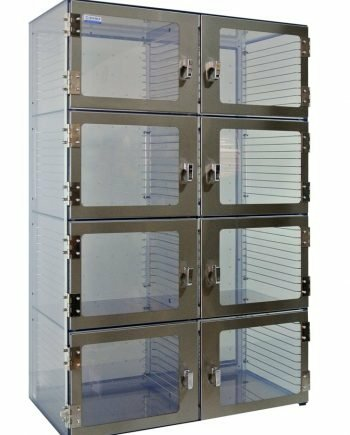 1540 series pass-through desiccator cabinets offer an innovative design for accessing stored materials from both sides of the cabinet. 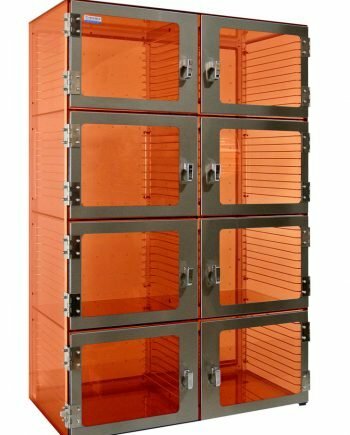 They can be easily installed within a cleanroom/inventory room wall or between two assembly rooms aisles for dual access. 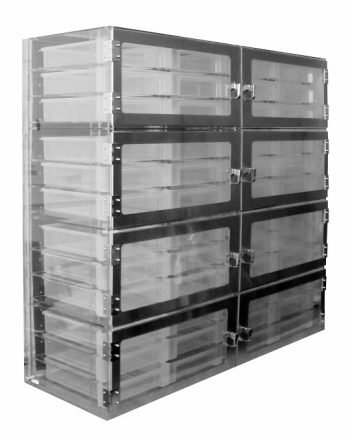 Depending on your application and requirements, compartments can either be interconnected using a perforated chamber divider or isolated to maintain a controlled environment. Front and rear access doors allow for pass-through operations. Chambers can either be interconnected using a perforated chamber divider or isolated to maintain a controlled environment.